Feeling like you can’t focus? You’re not alone. According to a 2015 research report from Microsoft, our attention spans are shrinking and may now be on par with goldfish. Since 2000, our ability to concentrate has shrunk from 12 seconds to about 8 seconds. A goldfish has a 9-second attention span. Citing a possible evolutionary response as we shift to a multi-tasking, multi-screen digital world, the Microsoft report seems to suggest that we can’t focus on anything for more than a few seconds at a time. You’ve made it to that point in the year where most people have blown off their resolutions, quit going to the gym, and returned to life as they once knew it. You might be tired of goal setting blog posts at this point, and I get it, but the sad fact is that too many people are only just now getting around to thinking about what they really want this year. If you’ve already set your goals, great. If not, review my previous post about the importance of looking back before you make a new plan. Then, strap yourself in and let’s look at how to get what you really want this year. Because, let’s face it, you need this to be your year. According to many people I’ve talked to, 2018 was not their best year (to put it mildly). If that’s also you, then you need to see big improvements over last year. You want to see real, positive, sustainable growth this year. I can’t tell you the number of times I’ve seen “make six figures” come up on someone’s annual goals. When I was a young entrepreneur, it was one of my goals more often than I care to admit. It felt like something I should be doing. 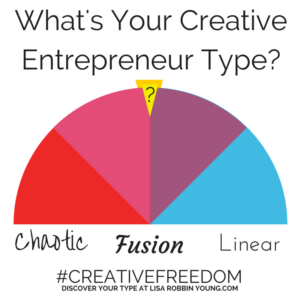 Shouldn’t every creative entrepreneur have a six figure business? Isn’t that the goal? To make more money, have more fun, and enjoy life in the process? Setting goals for 2019? Answer these questions first! 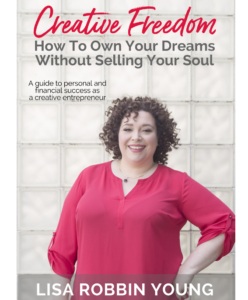 If you’re like a lot of creative entrepreneurs, you might still be scrambling to put your goals down on paper for the year. In fact, several guru-types are only just now getting around to leading those goal planning workshops. The folks in A-Club and the Incubator did their annual planning before December, so that they could hit the ground running this year. I’m not bragging (well, okay, maybe a little), I’m trying to illustrate a point that the longer you wait to set your goals, the longer it will be before you can achieve them.